More good stuff for 2015, the Ponytrap Year of the Robot: Make Magazine found us through Austin’s Mini Maker Faire and asked us to create a make-your-own-drummer project. It was challenging to come up with a design that represented our machines, functioned nicely and was simple enough to build as a DIY project, but we think it came out pretty strong! 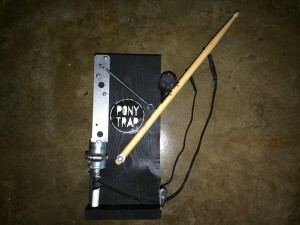 MakeZine.com published the article today and we’ve gotten some great response – go have a look for yourself, and build you a drummer! 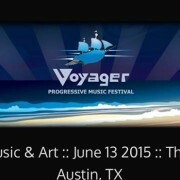 We had an amazing time performing at the Rusty Mule for VoyagerFest 2015! The robots were thunderous and we debuted a couple of new tunes. We also heard plenty of great music including the fantastic Obnosticon. Daniel James produced a killer event and we look forward to participating in 2016 as well! Holy Cats! 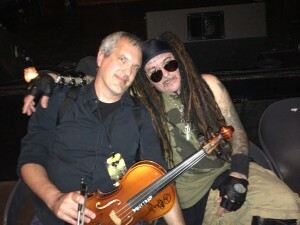 Al Jourgensen and Ministry shared our video Fix No. One on their Facebook page! 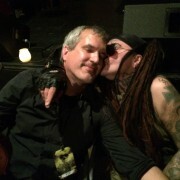 We went to see Ministry Sunday, June 7 at the Mowhawk and had our faces melted and our brains crushed. Psalm 69 was a huge musical influence on Quentin & this was a great show and a great day.